The wildlife in the Greg Duggan Nature Reserve in Peterborough, South Australia is quite diverse. Over recent weeks I have been sharing some of the wildflowers I photographed there in September last year. Despite being only 10 acres in size, the fauna is also quite interesting as well. 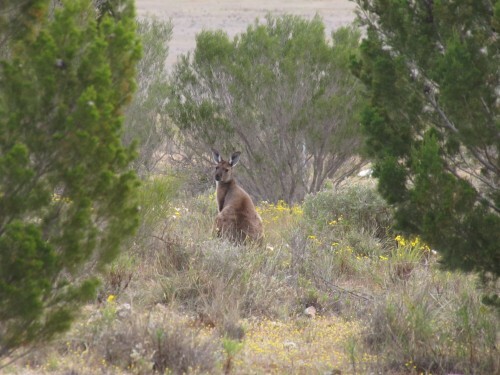 When I visited a small mob of Western Grey Kangaroos was grazing contentedly on the grasses thriving in the park. The female in the photo below looks decidedly like there is a joey in her pouch. 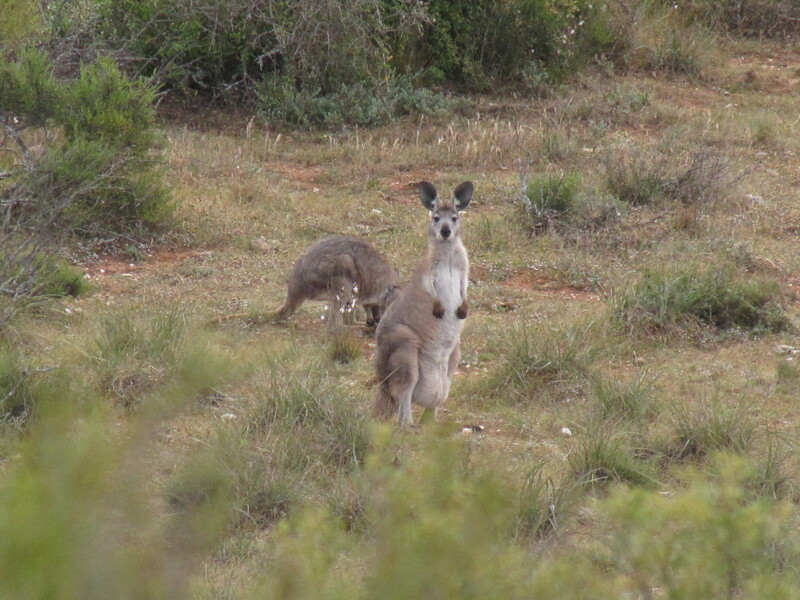 Western Grey Kangaroo – with a joey in the pouch? many kinds of beetles, bugs and native cockroaches, to name only a few. This is one area of wildlife where I do have a great deal of knowledge in this area. In all, there are probably well over 150 different species of birds in the region – say, within a 20km radius. 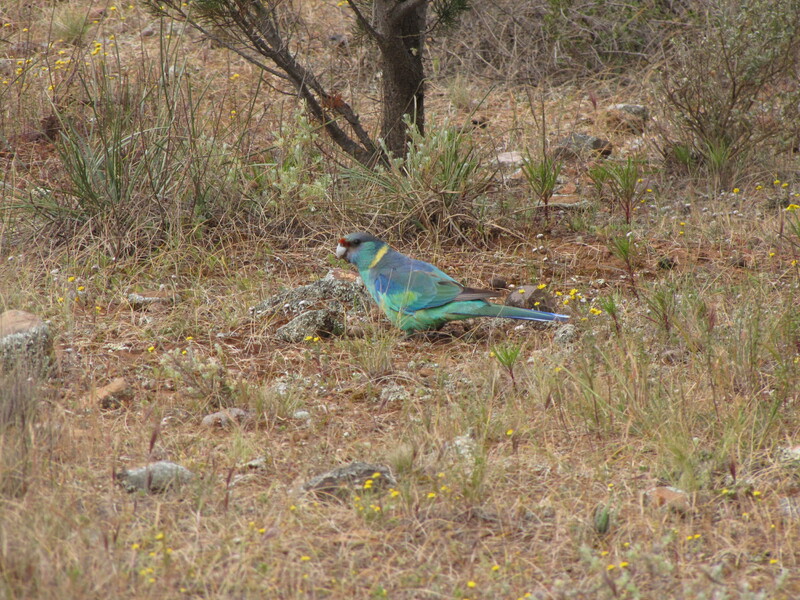 Included in this list are a few waterbirds (present in dams and a wetland area near the caravan park), eagles, hawks, pigeons, many species of honeyeaters, chats, babblers, parrots, thornbills, magpies, ravens, woodswallows, finches and the list goes on. I have included only two photos today (see below). 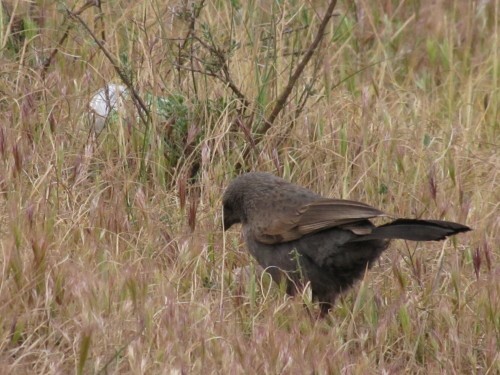 Of special note is the Apostlebird, an uncommon species in South Australia. 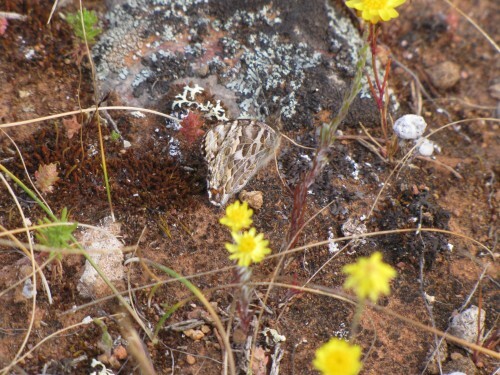 The township of Peterborough has several large family groups of this species and is one of only a handful of places in the state where they can be reliably seen. The are very common in the eastern states, however.